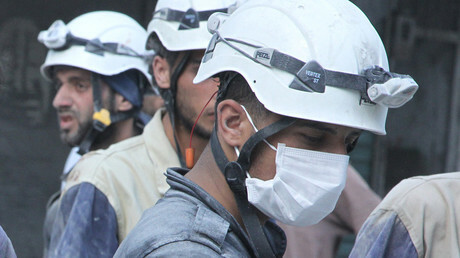 A press freedom watchdog, Reporters Without Borders, has asked the Swiss Press Club to cancel a panel discussion on the “true agenda” of the controversial White Helmets group. But the club’s director won’t budge, noting that such demands are typically made by oppressive regimes. Guy Mettan, executive director of the Swiss Press Club, says he was asked by Reporters Without Borders (RSF) in Switzerland to cancel the conference. The press freedom organization, which is a member of the Swiss Press Club, said it did not want to be associated with the event. "I have never seen such a thing," Mettan told Tribune de Geneve. “Now an organization that defends freedom of information is asking me to censor a press conference". Independent journalist Vanessa Beeley, who has done extensive reporting from inside Syria, will speak at Tuesday’s event alongside French journalist Richard Labeviere, an expert on the Middle East and international terrorism, and Marcello Ferrada de Noli, chair of Swedish Doctors for Human Rights (SWEDHR). Noting that perhaps Mettan was unaware of this “information,” the letter urged the Swiss Press Club to “abandon” the event or risk tarnishing the club’s image. Mettan wrote back, denying the organization’s request and expressing disbelief that a group dedicated to protecting press freedom would advocate censorship. “This is the first time that a defense organization for journalists from a democratic country has sent me such a request. It goes without saying that I cannot act on it. It would dishonor a job that, I hope, is still yours.” Mettan called on RSF to participate in the event and present their point of view, rather than attempt censorship. 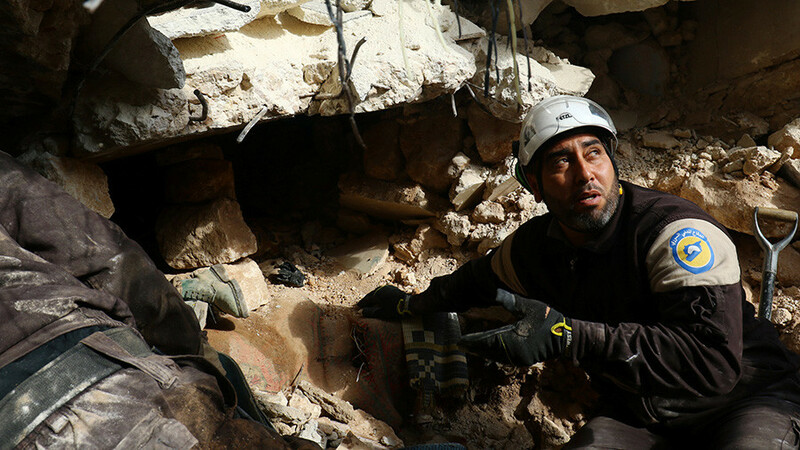 A documentary praising Syria’s White Helmets as heroes and saviors in Syria won an Oscar in February. 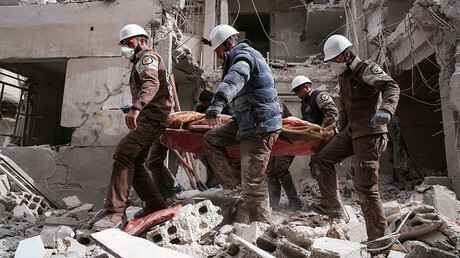 Witnesses have meanwhile accused them of collaborating with terrorist groups, filming staged reports about their rescue work, engaging in looting and other misdeeds. Members of the group have been caught on camera several times performing dubious acts, including assisting with an apparent execution of a prisoner.